With winter fast approaching, thousands of bright-eyed winter adventure lovers are getting ready to flock to the best ski resorts in Austria. And rightly so, as this gorgeous country is home to about 7,193 kilometers of amazing slopes. With a whopping 423 ski resorts, you need to be absolutely sure you pick the best one for your time skiing in the Alps. 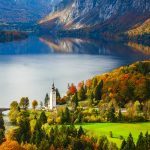 Whether you’re looking for a fun place for the whole family, need to know the best places to snowboard in Austria, or are focused on the après-ski scene, you’ll find all the top winter resorts in Austria here so you can spend less time searching and more time having a vacation of a lifetime. The largest ski resort in the Ötztal Valley gives you everything you could want and more in a winter vacation. 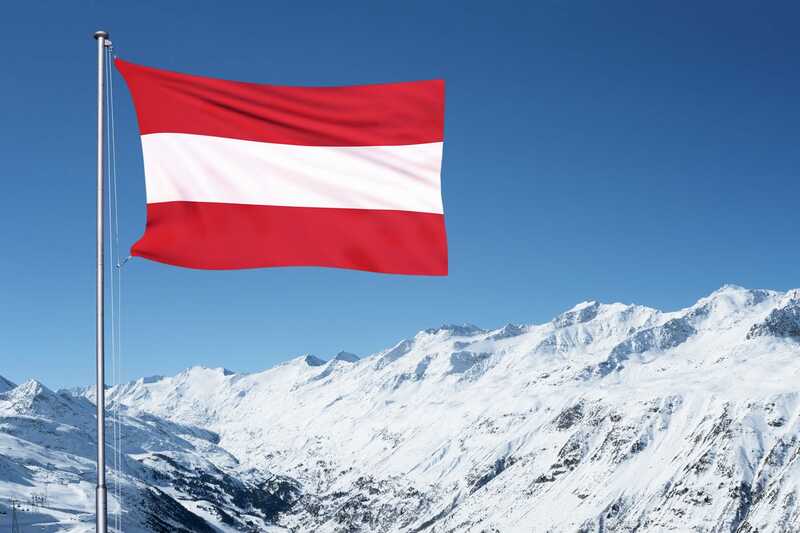 Getting major press as they are a venue for the Alpine Ski World Cup and the official European training base for the US Ski Team, you can be confident you chose one of the best ski resorts in Austria not only for skiing in the Alps, but also for the nightlife. 34 lifts will take you up to 3,000 meters, while three even take you to the massive peaks that rise above 3,000 meters. After a fun day on the slopes, grab some dinner then get ready to experience a nightlife like no other. Bars, clubs, and discos decorate the area for you to party until dawn. Attention James Bond fans! Make sure you add the 007 Elements cinematic experience to your itinerary where state-of-the-art technology brings the 007 stories to life at 3,050 meters above sea level. 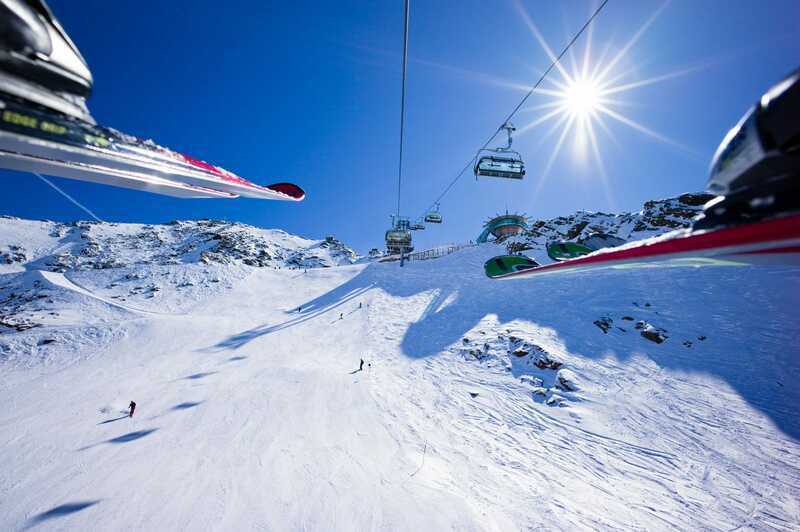 Just an hour from Innsbruck, you can never go wrong with this premier winter sports resort. If you’re an avid mountaineer or love being close to the sports action, Die Berge Lifestyle Hotel is the place for you. With unbelievable natural light shining throughout the hotel, you’re in for a treat when you see the unforgettable views from their atrium. With a breakfast buffet that’s to die for, you’ll start every day on the right foot when you choose Die Berge Lifestyle Hotel. If you’re not quite ready to hit Sölden solo, Die Berge Lifestyle Hotel has tons of info on guided tours for skiing, snowshoeing, and more. Their Sky Spa takes relaxation to a new level, and as you’re rejuvenated for the next day of action, there will be no doubt in your mind that Die Berge Lifestyle Hotel is one of the best accommodations for skiing holidays in Austria. 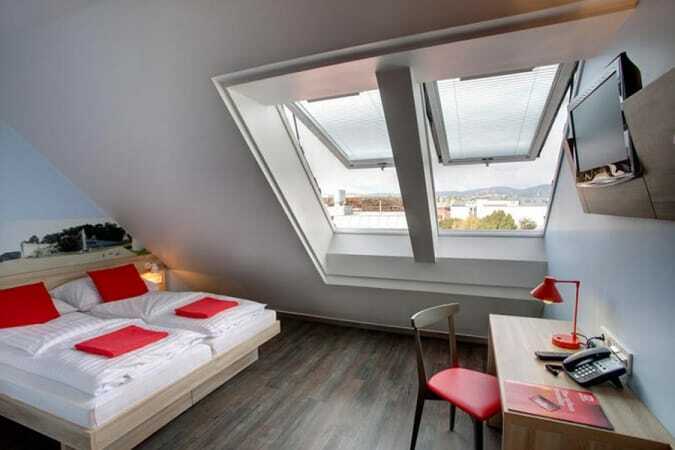 Only 100 meters from Gaislachkogelbahn you’ll find the stylish Hotel Bäckelar Wirt. Even with the prime location you’re still guaranteed a quiet sleep as you settle down in the most plush bed you’ll find. Looking for ski lessons or want to brush up on your skills? Hotel Bäckelar Wirt even boasts their own ski school. Available to children from 8 months old, and from beginner to professional levels, you can take your pick of skiing, snowboarding, cross-country, or telemark instruction. With a maximum of seven people per group, you can ensure you’ll get the personalized help you’re looking for. Their G’s Cafe and the hotel bar give you the perfect atmospheres to enjoy a locally-sourced four-course dinner and a cocktail to round out the perfect day in Sölden. If you’re looking for an ideal location near one of the best ski resorts in Austria, then look no further than Hotel Bäckelar Wirt. Luxurious and modern living in the mountains is what you’ll get with a stay at VAYA Sölden. As soon as you enter you’ll know you’re in for a super special stay. Just a few minutes walk from Gaislachkogelbahn, VAYA Sölden prides itself on its timeless elegance and sophistication. Each of the chic rooms and suites come with a furnished balcony for you to bask in the mountain views as you reflect on your perfect vacation. After you return from an action-packed day, we highly recommend you head to the spa to refresh and enjoy the 360-degree mountain views before you head to the restaurant for a gourmet dinner. With a staff that provides the highest standard of service, you’ll be treated like nothing less than royalty throughout your time at VAYA Sölden. 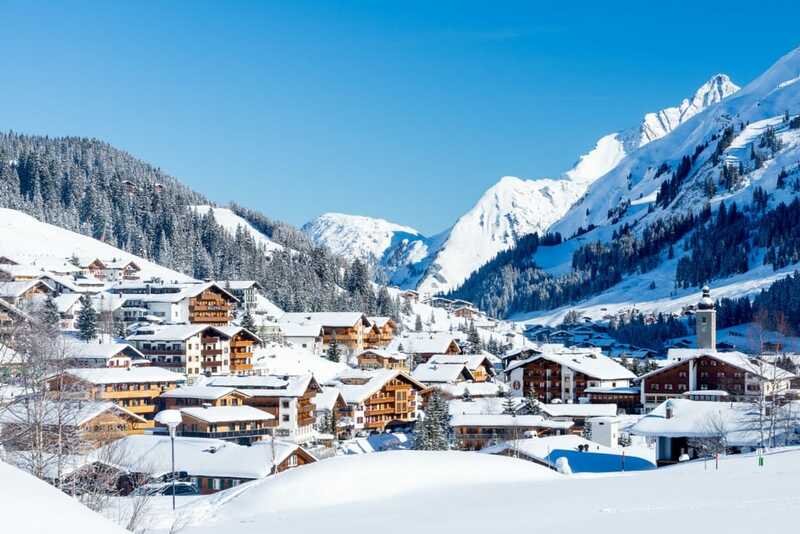 As one of the largest ski areas in Austria with 270 kilometers of ski slopes, Saalbach-Hinterglemm is a winter wonderland for people of all ages. Other than the obvious skiing or snowboarding, you can take your pick of tobogganing, horse-drawn sleigh rides, a winter coaster, and more! Whether you’re a beginner, expert, freerider, or just want to go snowtubing, Saalbach-Hinterglemm has set itself up as the ideal place for you. If you need a quick break before you return to the slopes, make sure you stop by one of the 60+ ski huts available to you. The hut keepers are excited to treat you like family and give you a taste of some of the delicious delicacies and hut classics. Even though Saalbach-Hinterglemm is one of the best ski resorts in Austria for families, you can still enjoy it if you’re not traveling with kids. There are numerous bars and clubs nearby so you can party it up until sunrise. Only a 90-minute drive from Salzburg Airport, you’re guaranteed fun for the whole family at Saalbach-Hinterglemm. Be prepared to experience first-class service the moment you step in Hotel Interstar. Your hosts, Jana & Jürgen, have created the perfect home away from home whether you’re traveling by yourself, with your family, or with a large group. The rooms are decorated in a modern style you’ll absolutely love, and if you can manage to peel yourself out of the super comfy bed, endless activities await throughout Saalbach-Hinterglemm. When it’s time to eat, you can thank chef Erwin Leitgeb for the care he has put into all of his delicious food. If you visit during the summer, you can even enjoy your meal on the panoramic terrace, which you’re sure to fall in love with. Only 200 meters from the Schönleiten Ski Lift, the feel-good atmosphere t Hotel Interstar is one that can’t be beat. Right next to the slope and only 50 meters from the Reiterkogelbahn is Hotel am Reiterkogel. The Ripper family will give you a warm welcome and provide you with all of the premium comforts you desire. Even the pickiest of eaters will find something delicious at their restaurant Liemers, as it boasts national and international dishes as well as a variety of wines and cheeses. If you’re visiting in the summer, you can expect delicious weekly barbeques if the weather permits. After dinner you’ll definitely want to check out the recently renovated spa that’s highlighted by the bio sauna and new steam bath. Housed on the sunny side of the Glemm Valley, a stay at Hotel am Reiterkogel will brighten your day as much as the sun does. Designed for mountain lovers, the owners have created a haven where you can come by yourself or bring the whole family as you can choose from a studio suite all the way up to a 4-bedroom penthouse with 4 bathrooms, all with picturesque mountain views. Yes, your tasty breakfast will be included, but your suite or apartment also has a private kitchen in case you want to show off your chef skills and whip up your own meals. If you’re wanting to kick the luxury up a notch, make sure you book one of the penthouses so you can indulge in your own private sauna and drink some coffee in front of your fireplace. Famous for their local produce and handmade products, Rosso is their restaurant and bar that is sure to keep you coming back for more. Whether you choose to chill out in the relaxation room, in the sauna, or on your own private balcony, you are sure to be refreshed after just one night at Avenida Mountain Lodges. Graced by the presence of Sir Elton John, Tina Turner, Diana Ross, Bob Dylan, and other A-list celebrities, Ischgl is a former farming village turned upscale center for the best snow sports, parties, and cuisine. If you’re a music lover as well as a winter sports fanatic, Ischgl should be at the top of your list of the best ski resorts in Austria. They host “Top of the Mountain” concerts at the beginning and end of the season that have helped skyrocket their fame to international proportions. Of course, when it comes to ski slopes in Austria, Ischgl consistently remains one of the best. 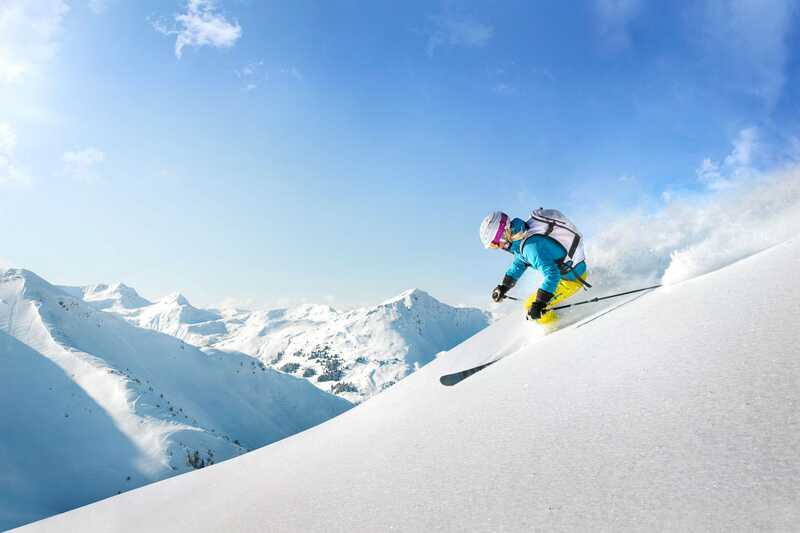 238 kilometers of pistes make for amazing runs for every level of skier. If you’re all skied out, not to worry…Ischgl has endless fun that includes everything from paragliding to snow hiking to an indoor adventure pool and more. Decorated with several award-winning restaurants, foodies will have the time of their lives when they’re ready to take a break from all the action. Only 90 minutes from Tyrol’s capital, if you’re searching for one of the great Austrian ski resorts near Innsbruck, then look no further than Ischgl. The friendliest hotel you’ll find in all of Austria, the staff at Hotel Martha will welcome you with open arms. A 3-minute walk to the Silvretta Cable Car and the village centre, you’ll be in convenient walking distance to the slopes, but far enough away that you can get a restful night’s sleep. Staying a little longer, or just want to feel the comforts of home? Take advantage of a fully-equipped apartment instead of a room or suite. If you can peel yourself away from the fun for some food, unbelievable five-course dinners await you at Hotel Martha. Another long-time guest favorite is the miniature golf course. The beautiful 18-hole course makes for loads of fun for kids and adults alike. Even a short stay will show you why Hotel Martha more than lives up to the hype. Located between the Fimbabahn and the Pardatschgratbahn cable cars you’ll find Hotel Fliana, a premium hotel that will spoil you from check-in to check-out. It sits on a south-facing slope, so you’ll absolutely love the sunshine beaming through the hotel, and the ski slope ends at the hotel, putting you in the perfect location for skiing in the Alps. Two delicious restaurants are on-site for you to choose from. Chef Andres Spitzer is the mastermind behind the delicious gourmet meals ranging from traditional to international cuisine. On top of skiing in the winter, you can also go hiking and cycling directly from the hotel during the summer. A staff with your satisfaction in mind has handmade chocolates and homemade jams thoughtfully available, so you can have delicious additions to your amazing vacation. A stay at Hotel Fliana guarantees you’ll be living the dream. If you’re wanting to pamper yourself, then Hotel Salnerhof is the place for you. From a vitamin bar to a relaxation room to a pool with underwater massage and much more, you can let all your stresses fade away as you renew your mind and body at Hotel Salnerhof. Not a spa person? There are so many other great features that will put a smile on your face. You can obviously expect a tasty breakfast buffet and afternoon snacks, but for this ultimate ski vacation, you can choose from a 6-course meal along with a salad buffet or you can opt for the a-la-carte menu so you can pick out exactly what your heart desires. Please make sure you don’t miss their gastronomic gala evenings, they are definitely must-see events. This luxe resort is everything you could want for your time at Ischgl. Previously a mining town, Schladming has now made it to the top of the list of the best ski resorts in Austria for families and expert snowboarders and skiers. This four-mountain ski area boasts 230 kilometers of perfectly tailored slopes. Along with some of the best black diamonds you’ll find, they also have family mountains for the kiddos. For the cross-country fans, you’ll appreciate the stadium with night trail, a park for children, and a 220-kilometer ski trail. With so many alternatives ranging from snowshoeing to ice stick shooting, you can never be bored at Schladming. Just because the sun sets doesn’t mean you need to put away your gear. By night you can take advantage of skiing, ski-touring, and tobogganing under the stars. Foodies take Schladming by storm as you’ll have over 50 eateries to choose from, so you won’t even have to think about going back to your hotel to eat if you don’t want to. With so many great runs, everyone in the family is bound to have their own favorite piste by the time you leave. Overlooking Schladming is a hotel that will provide you with the ultimate leisure. 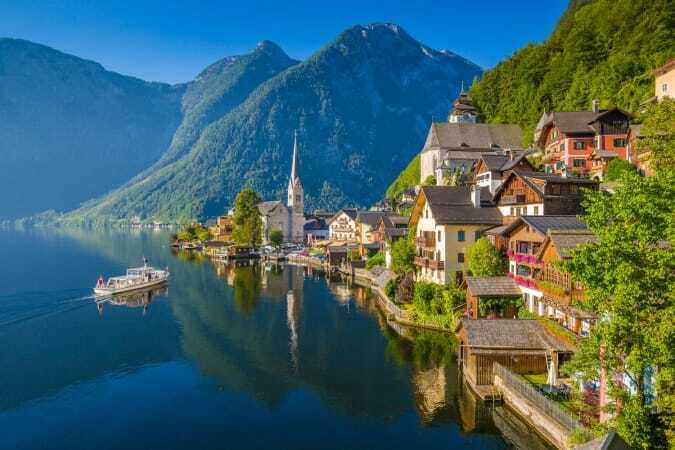 Condo Hotel Alpine Club helps you to have the ultimate holiday in Austria and allows you to immerse yourself in Austria’s history and culture at the same time. Take your pick of a studio, 1-bedroom, or 2-bedroom accommodation where you’ll have access to your own private kitchenette and balcony. For breakfast and dinner, Koarl & Julia’s Restaurant is at your service to satisfy your taste buds with the finest of dishes and ingredients. Wanting to stay in for the day? Condo Hotel Alpine Club has regular activities including spaghetti day, welcome parties, romantic horse carriage rides, game nights, and much more to keep you entertained. With a friendly staff excited to welcome you to the family, Condo Hotel Alpine Club is a premium choice for your time at Schladming. If you’re planning your dream vacation to the Alps, a stay at Falkensteiner Hotel Schladming will make your dreams come true. Less than ten minutes from the slopes, a shuttle stops right outside the hotel for your convenience. After your winter adventures, make sure to treat yourself at the spa. With all different types of treatments and a host of other highlights, Falkensteiner Hotel Schladming wants to make sure you’re refreshed throughout your time at Schladming. Of course, mouthwatering cuisine awaits for breakfast, dinner, and snacks. Along with Alpine cuisine, you’re sure to appreciate their tasty Mediterranean cuisine as well. When your dream vacation is over, you’ll be sad to leave Falkensteiner Hotel Schladming. Florian and Doris Danklmaier have created the perfect oasis of relaxation for your time in Schladming. Hotel Die Barbara offers a perfect location right next to the Planai ski slope and provides first-class service. They allow you to take your pick from a room, suite, or apartment where you can have the best sleep of your life before hitting the slopes. One thing you definitely need to do while you’re there is make your way to the bar for some schnapps, you’ll thank us later! No matter how long you stay, you’ll have a very difficult time finding any faults at Hotel Die Barbara. 305 kilometers of pistes, 200 kilometers of off-piste itineraries, and a lot of challenging but fun off-piste terrain await you at Sankt Anton am Arlberg. Known for its role in creating alpine skiing, Sankt Anton am Arlberg is also the birthplace of Johann Schneider, the renowned ski instructor. 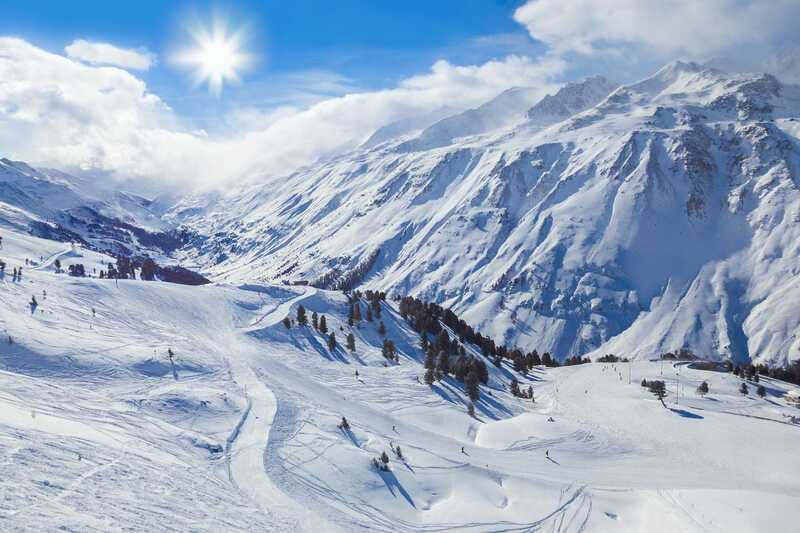 Famous for its beauty, breathtaking scenery, skiing, snowboarding, and ski mountaineering, it’s no wonder Sankt Anton am Arlberg is one of the top Austrian ski resorts. On top of the many other winter activities available, winter hiking and a winter climbing route are some of the other fun opportunities to be had here!. And for the snowboarders out there, you’ll be in freestyle paradise at Stanton Park, after all it is one of the best places to snowboard in Austria. Sankt Anton am Arlberg’s slopes and après-ski scene are calling your name, so what are you waiting for? This renovated chalet-style building gives you a comfortable and contemporary stay for your time at Sankt Anton am Arlberg. Only a five-minute walk to the centre, you can stay in a convenient location while still having a quiet sleep. There is a free ski shuttle to the cable cars, and you’ll have a spa, restaurant, and on-site bar for your convenience. If you love a day at the spa, then Hotel Valluga is the place for you. Four saunas, waterbeds, thermal showers, spa treatments, and more are at your service to ensure you’re renewed and refreshed. It’s truly an ideal place to stay for your time at Sankt Anton am Arlberg. After your first time here, you’ll want to come back over and over. You’ll be in the lovely pedestrian centre just a five-minute walk to the nearest cable car. Mansuet, Michael and Markus, the “three M’s”, have created the perfect getaway and home away from home while at Sankt Anton am Arlberg. You’re guaranteed to have your own private infrared sauna and sensory shower in your room, which are sure to help you relieve tension and de-stress. Chef Johannes Scherl leads the culinary team as you’ll enjoy some of the best regional, Asian, and Mediterranean dishes you’ve ever tasted. Every Monday evening during the winter season fondue bourguignonne will be served along with appetizers, salads, and desserts from the buffet. Fondue nights are one thing you won’t want to miss here. As you relax on the roof terrace and enjoy the views, you’ll know you made the right choice by choosing m3Hotel. You’ll come as a guest but you’ll leave as family when you book at Hotel Rundeck. Just a five-minute walk from the Galzigbahn, elegance radiates throughout this hotel. Take your pick of a room or an apartment where you can sleep peacefully while still being in a great location. Your wellness is truly a priority here as you will have access to an amazing relaxation area, bio sauna, Finnish sauna, infrared and massage room, and more! If you don’t get enough exercise on the slopes, there is also an on-site gym so you can keep up with your workouts while you’re out of town. With all they have to offer, you’ll be living the dream with a stay at Hotel Rundeck. Located in the Radstädter Tauern mountains and guaranteeing you snow from November through May, Obertauern not only gives you snow security, but you’ll also have ski-in/ski-out convenience. 100+ kilometers of pistes make for fun for the whole family. The smaller size of Obertauern means nothing is ever really that far away. Whether you need to go back to your hotel, want to grab dinner, or you’re heading to check out their renowned après-ski mile, you’ll be in convenient walking distance to anywhere you want to go. 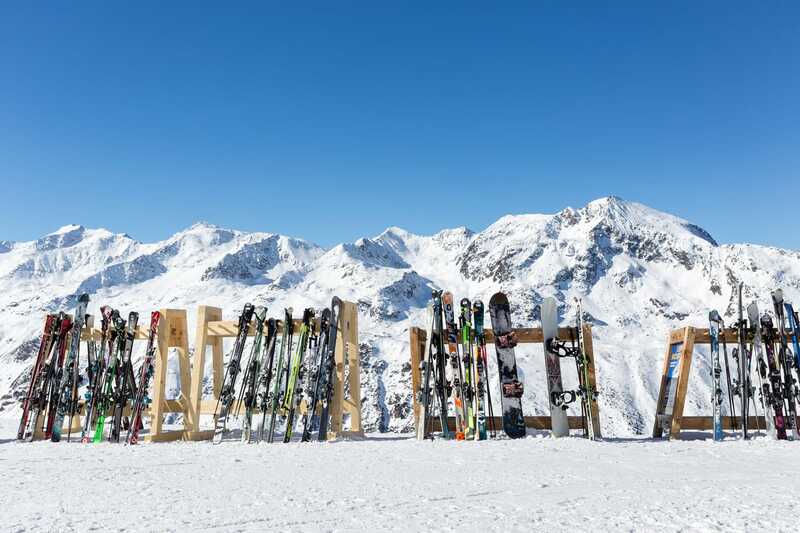 Take your pick from any of the 25 ski huts that will fill you up with amazing food and tasty drinks. Along with their après-ski scene, they are pros at hosting events. From parties to concerts to festivals to treasure hunts, you’ll love the variety and fun to be had when you party it up at Obertauern. Some of the other fan favorite winter activities include snow kiting and biathlon…there really is something for everyone to do here. They even have a ski kindergarten available for the little ones. All types of fun are waiting for you at Obertauern. The staff at this pet-friendly hotel will do anything they can to make your time in Obertauern even more perfect. Your hosts, Matthew and Elisabeth Will, pride themselves on providing you the best in hospitality, authenticity, and professionalism. Complimentary childcare is available, so you can relax without the kiddos while they do exciting activities like bake pizza, build an igloo, do crafts, and more. They also have a program where teens can come together to meet new friends and share travel stories. Thursday’s gourmet dinners and Saturday’s kitchen parties are just some of the thoughtful additions designed to perfect your skiing holidays in Austria. This family business is one you’re sure to fall in love with. When you aim high you’ll land at Hotel Petersbühel. Sitting right on the slopes, you’ve now found the perfect ski-in/ski-out hotel. This third generation family-run hotel will make you overjoyed to spend your winter vacation with them. While a tasty breakfast buffet and a delicious five-course dinner are standard, you are sure to appreciate their wine bar. Their extensive wine cellar allows you to experience a variety of exquisite wines, and they even offer wine tastings. After a hard day on the slopes, the spa staff is waiting at your beck and call. Along with spa treatments, an infrared cabin, steam bath, Finnish sauna, and more to help you get back to 100%, you won’t regret any time spent at Hotel Petersbühel. 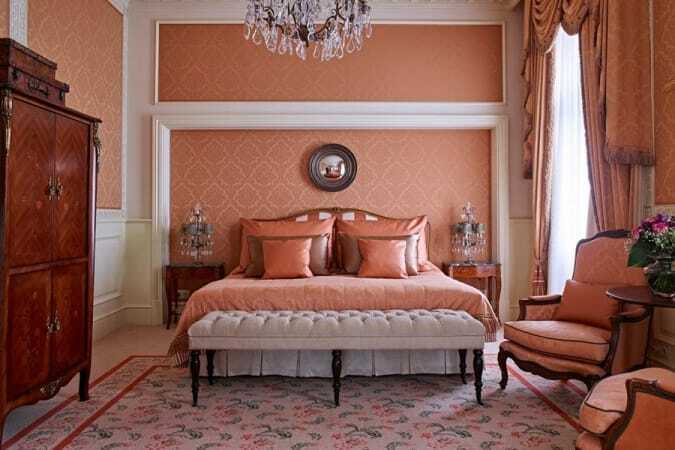 You’ll actually be living like royalty when you stay at Hotel Rigele Royal. Just 50 meters from the slopes, here you can indulge in the only outdoor pool at Obertauern, and don’t worry, it has a hot tub as well :-) The wellness area stretches inside where you can enjoy panoramic views, ice and steam grottos, a massage studio, and much more. Not only that, but they also have a hair salon, so if you’re looking for a style change while on vacation, their in-house stylist is excited to improve your look. The service and cuisine are top of the line, and the staff will provide you with nothing less than the best. With so many special touches, it’s hard to say no to a stay at Hotel Rigele Royal. Continually topping the list of the best ski resorts in Austria for beginners is the simple, yet exciting Alpbach. Also one of the top Austrian ski resorts near Innsbruck, you’ll be just a quick 30 minutes from the Tyrolean capital. The charming resort offers you 109 kilometers of pistes along with a host of other amazing once in a lifetime activities. If you love a picturesque view, then paragliding should be on your list of things to do. One of their newer attractions allows you to race like a pro. It’s a permanent racetrack named after Olympian Eva-Maria Brem that’s great for the whole family. Looking for something more action-packed? Take advantage of the chance to co-pilot a piste caterpillar for a whole hour! Their Alpine coaster also remains another fan favorite which takes you up to 42 km/h dropping over 134 meters and blazing around two 360° turns. So if you’re wondering where to go skiing in Austria, Alpbach just might be the best answer. This beautiful accommodation provides you a tranquil stay with first-class service. Only a three-minute walk from Alpbach you’ll quickly fall in love with the picturesque serenity that Aparthaus Sonnenhof offers. Your spotless apartment will feel like your dream home. You can take advantage of your fully equipped kitchen if you would like to whip up some of your own meals. A barbeque area and playground can be found in the garden, making Aparthaus Sonnenhof a great place for the whole family. It is truly a hidden gem that will be the cherry on top of your unforgettable vacation. This country-style guest house is a stunning sight to see. Located in the centre of Alpbach, Haus Sonnwend is a great base to explore the area and to start your adventures. Decorated in beautiful spruce wood, no matter which apartment you choose, you’ll have a kitchen, living room area, and a balcony to make you feel right at home. The staff will answer any questions you have as well as you the best recommendations in town. They even have free rentals available for things like backpacks, toboggans, and more. You’ll love the cosy and friendly atmosphere at this charming guest house. There is a reason this awarding-winning business is continually one of the best places to stay when you come to Alpbach. Not only will you enjoy the delicious breakfast buffet, but their Pizzeria Messner offers a large selection of pizzas as well as other dishes and fresh pastries. The hotel restaurant also serves a three-course dinner if you’re not in the mood for pizza. After dinner, make sure you stop by the bar for a drink and live music. With rooms that can sleep anywhere from one to six people, whether you’re coming by yourself, with family, or with a group, Gasthof Jakober is happy to accommodate you. With views of the mountains and a lovely church, the warm and comfy stay will make you regret leaving. 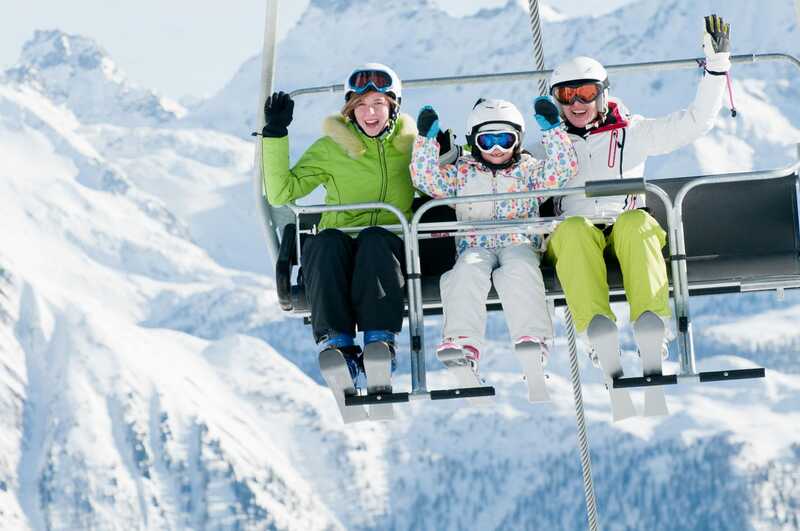 One of the first non-glacier ski areas to welcome visitors for the winter season, Kitzbühel is a family-friendly resort where everyone is guaranteed to have the time of their lives. 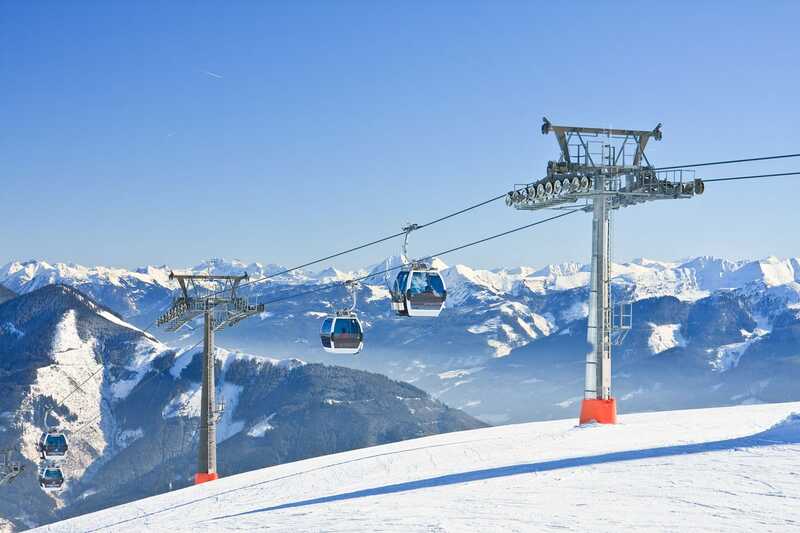 The renowned Streif has secured Kitzbühel’s spot as one of the most famous ski resorts in Austria. Though the 179 kilometers of pistes welcome ski-lovers, non-skiers will fall in love with the charm and fun of the resort as well. 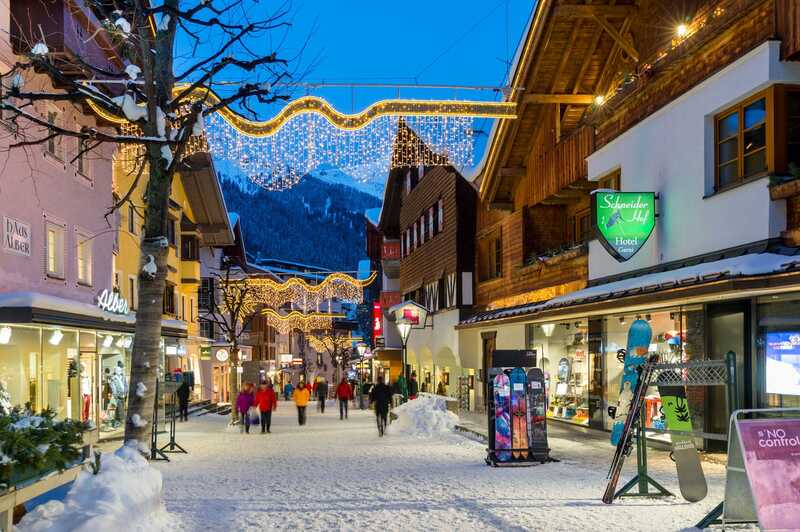 The gorgeous pedestrian streets are decorated with classy boutiques, high-quality cafes, and luxury hotels to keep you satisfied on and off the slopes. If you plan your visit for mid-late January, make sure you get a live view of the toughest of all downhill ski races, the Hahnenkamm race. One of the ultimate places for freeriders, many have deemed Kitzbühel as one of the best ski areas in Austria as endless deep snow runs averaging eight feet spread across more than 200 km2. This former medieval mining town has now transformed into one of the most charming winter resorts in Austria, and it has your name written all over it. A stay at Hotel Schloss Lebenberg is truly worth every penny. You’ll be treated like royalty the moment you check-in. Start by choosing from their exclusive pillow menu so you can have the most comfortable sleep possible. 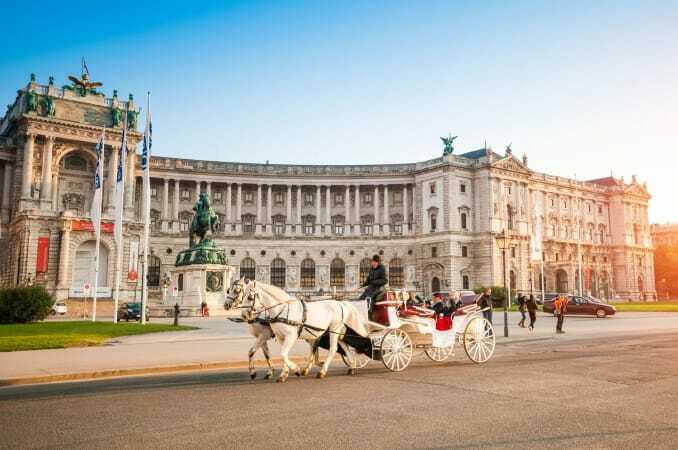 When you’re ready to hit the town, a free shuttle to the city center operates between 09:00 – 18:00. The spa offers anything you could need for wellness and relaxation, and the 46-foot pool even has panoramic views. Once it’s time to eat, a four-course dinner will delight your taste buds while a glass of wine by the fireplace will warm your heart! Their on-site sports shop is very considerate, as they will allow you to test out and borrow equipment for your adventures. The excellent staff will make sure you live in the lap of luxury throughout your stay. If you agree that your health is a top priority, then look no further than Q! Resort Kitzbühel. Comfy rooms and a convenient location are a given, but even more than that, Q! Resort Kitzbühel is proud to be the first certified organic health resort in Kitzbühel. All dishes are prepared with organic and local ingredients, and you have the option to choose from a gourmet menu, a vegan menu, or a vegetarian menu. You can even choose from a detox menu if you would like to lose weight, increase your energy levels, and more. It’s also the home of Happy Kuh, the first vegetarian and vegan gourmet restaurant in Kitzbühel. The focus on your health will continue throughout your stay as you can participate in daily programs like Pilates, belly training, Nordic walking, and more. You’ll absolutely love being pampered at Q! Resort Kitzbühel. Whether you’re a skier or shopper, Hotel Gamshof is in the perfect location for you. The complimentary ski bus that takes you to Hahnenkamm cable car or mountain railway is across from the hotel and you’ll find luxe shops and boutiques only a two-minute walk away. If you need any help with your itinerary, make sure you check with the front desk staff first as they are experts at pointing you in the right direction for any tours you may want to take. The sauna is the perfect place to relax after a long day on the slopes and you’ll love wrapping up the evening with a glass of wine in front of the fireplace. A fabulous stay awaits you at Hotel Gamshof. Made famous by Auguste Piccard’s accidental hot air balloon landing on the nearby Gurgler Ferner glacier in 1931, Obergurgl has been growing in popularity ever since. 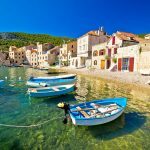 Centered around an early 18th-century church, this small village has a loyal following of families and affluent international clientele. 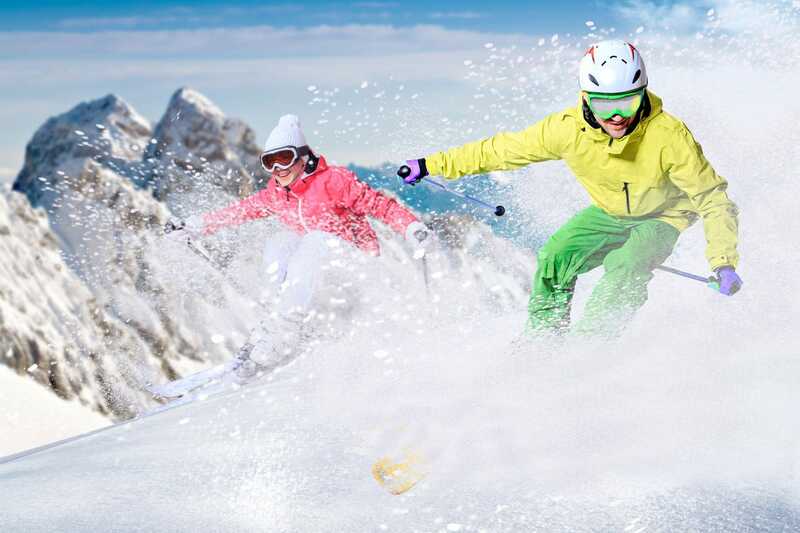 Highlighting the best ski resorts in Austria for beginners, the 110 kilometers of pistes are perfect for new skiers and growing intermediates, and as expected, they have countless off-piste activities available as well. Speed fans will love taking advantage of the Audi quattro funslope where snow park, piste, and border cross slope combine for the ultimate adventure. Indoor golf and Freizeit Arena (an indoor wonderland where you can enjoy a pool, sauna, tanning studio, gym, tennis, and more) are just some of the many fun things you can do when you’re not on the slopes. Obergurgl also hosts a long list of events that are guaranteed to amp up your vacation. A few of 2018’s upcoming events include Ibiza’s renowned Nassau Beach Club throwing a five-day bash featuring top DJs and surprise musical guests, a freeride contest, and Powder Snow Week. You can be sure there is no shortage of action at Obergurgl. Giving you direct access to the slopes, The Crystal takes everything up a notch. Culinary excellence is on display all day as you’ll start with the breakfast buffet in the morning, tea time in the afternoon if you’re not out adventuring, and a five-course menu is available for dinner. Not only that, but in addition to the restaurant, The Crystal boasts an unbelievable steakhouse, bar, and wine lounge. Aperitifs are also available every Monday for you to enjoy at the bar while relaxing to the sounds of piano music. Head to the spa if you want to be the center of attention where you can take your pick of massages, beauty treatments, and body treatments. It doesn’t get any better than a stay at The Crystal. Live the Alpine life of luxury with a stay at this adults-only wellness hotel. Only 150 meters from the cable cars and the ski school you’ll find Josl Mountain Lounging Hotel. Their Sky Sphere wellness area offers everything you would expect, like a Finnish sauna, steam bath, indoor and outdoor pool, and more. The highlight of the Sky Sphere is the rooftop jacuzzi and the incredible views. Their Mountain Lounge doubles as a comfy place to sip coffee and read the newspaper in the morning, but by late afternoon your new best friend and bartender Zoltan will be at your service to make your favorite drinks. Josl Mountain Lounging Hotel is sure to offer you unforgettable views and an unforgettable stay while in Obergurgl. Warm tones combined with high-quality natural materials make for a cosy and comfortable stay at Hotel Gurglhof. Sitting only 200 meters from the Hohe Mute and Rosskar cable cars, you can quickly hit the slopes whenever you’re ready. 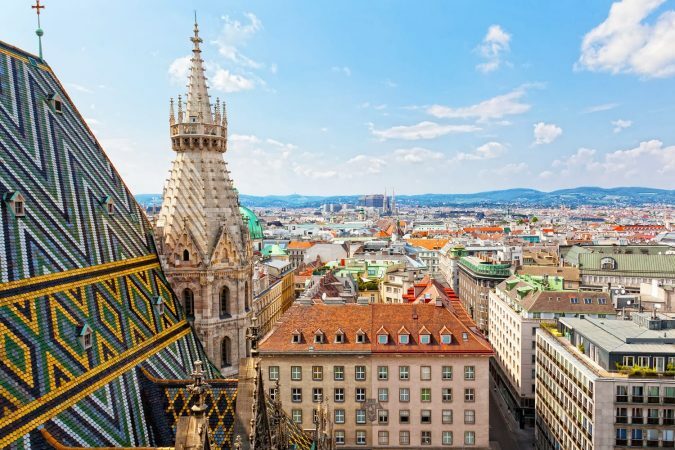 Their wine cellar is an excellent complement to their delicious cuisine, and while you’re indulging in your four-course dinner you can choose from any of their first-class Austrian wines. If the kids are getting restless or you’d just like some adult time, a children’s playroom is available and childcare is included. Hotel Gurglhof even has a family room and a master deluxe suite that offer two bedrooms and two bathrooms to accommodate your family. If you’re looking for an elegant and welcoming stay in Obergurgl, then Hotel Gurglhof is where you need to be. 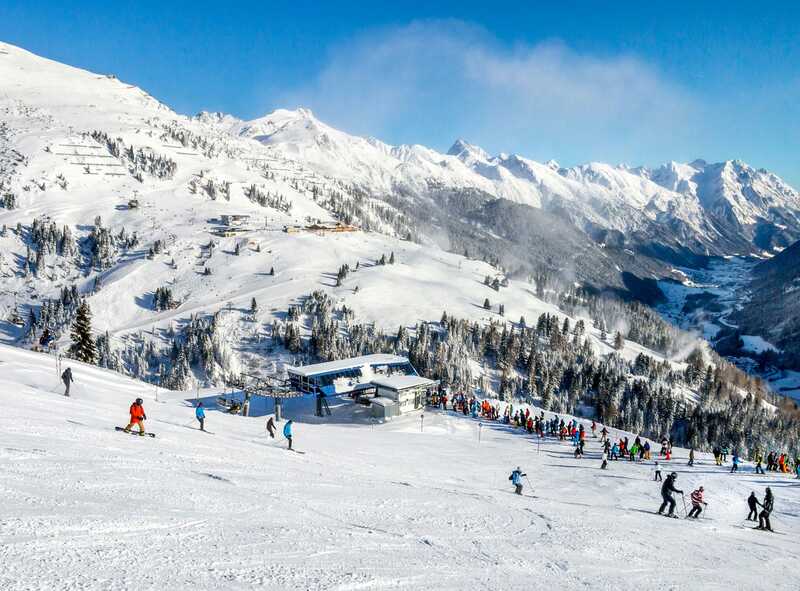 While the local area only has 136 kilometers of pistes, the Zillertal Superskipass, the ski area’s lift pass, gives you access to a massive 515 kilometers of pistes. You can also try your hand freeriding on over 300 kilometers of freeride terrain. Looking for a ski school? 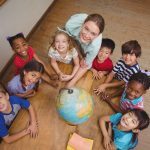 There are seven to choose from guaranteeing you professional and high-quality instruction. Away from the slopes, adventurers can take advantage of bouldering, ice climbing, and more. Events are a major highlight as you can choose to bring in Christmas at their Advent event, take part in or just watch their RISE&FALL relay race, jam at their Snowbombing event (a six-day party where Ibiza clashes with Mayrhofen to give you the time of your life), just to name a few. All there is to do in Mayrhofen will result in the perfect vacation on and off the slopes. A great starting point for all things Mayrhofen, is Hotel Neue Post, as the staff will make sure you have the vacation of a lifetime. The Pfister family has prioritized your relaxation as they have three saunas, a heated indoor pool, and massages. You’ll also enjoy the roof terrace as it’s decorated with sun loungers. After enjoying your five-course dinner you can indulge in a wine tasting where you’ll sample classic and modern wines from some of the world’s best wine cellars. With the complimentary ski bus stopping right outside the hotel and being just 100 meters from Zillertal Congress Europahaus, the location and superior service ensures you’ll be booking your next vacation at Hotel Neue Post. Hotel Garni Glockenstuhl is a quiet hotel sitting on the edge of town so you won’t have to worry about noise, but you’ll still be in walking distances to many cable cars, restaurants, and bars. You’ll also be a quick three-minute walk from the bus and train stations, and the ski bus stops just 100 meters from the hotel. Balconies abound as you’ll have a choice of a comfortable room, studio, suite, or apartment, many with spectacular views of the Zillertal mountains. Spending some time in their wellness spa guarantees you’ll be wonderfully recharged and refreshed for your next adventure. 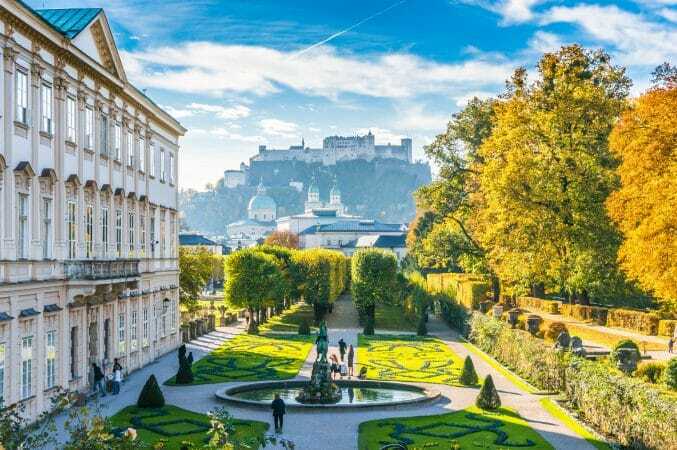 The country-style building and top of the line staff is easy to fall in love with and you’ll know you made the right choice as soon as you step in Hotel Garni Glockenstuhl. Warm Austrian hospitality will greet you the moment you walk in the door. A five-minute walk to cable cars and a ten-minute walk to the centre gives you convenient access to the places you want to go, but allows you to sleep without all the noise. This child-friendly hotel is great for the whole family because not only do they have a children’s playroom for the little ones, but a youth room with table tennis, billiards, Playstation, and more to keep the older ones entertained. The chef, Walter Stippler, prides himself on using regional and homemade products so you can expect something new and fresh each season. The staff team, led by Andreas & Irmgard Hundsbichler, are committed to making sure you leave Hotel Edenlehen happy, relaxed, and satisfied. 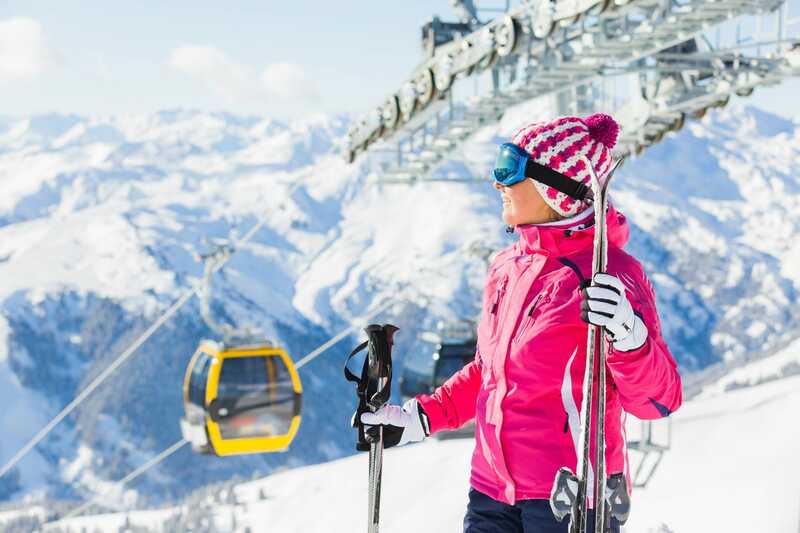 Previously visited by Lady Diana Spencer, Monaco’s Princess Caroline, the Jordanian royal family, and the Dutch royal family, the exclusivity of Lech has made it one of the highlights on the list of the best ski resorts in Austria. 305 kilometers of pistes and 200 kilometers of high Alpine deep powder snow runs are an exciting welcome to the former farming village. If you’re looking for something new on the slopes, you should definitely try out heli-skiing while you’re in Lech. Hosting a variety of events that include a street food festival, and a Christmas market. Lech even hosts a Snow & Safety Conference focused on mountain safety. If you’d like to attend, the lectures and discussions are offered free of charge in Zürs. Off the slopes you can enjoy the usual winter sports like winter hiking, tobogganing, etc., but they also have a sport park with countless activities including bowling, slacklining, and tennis. Even for the pickiest of people, a wide range of winter fun awaits at Lech. Andrea, Gerhard, and Nicole will be there for you from the moment you check-in to the moment you check-out, so whether you need restaurant reservations or recommendations, a ski pass, or something else, never hesitate to ask. In addition to the amazing staff, the location is hard to beat. Located only a five-minute walk from the centre and from the Rüfibahn and Schlägelkopf cable cars,Hotel Lärchenhof is still in a quiet location so you can sleep peacefully. After a taxing day on the slopes, the steam room, cold chamber, and the whirlpool will be waiting for you. With a pleasant staff and large rooms for a great value, booking a stay at Hotel Lärchenhof is a no-brainer. You’ll know you made a good choice as soon as you enter Pfefferkorn’s Hotel. The central location is only one of the highlights of Pfefferkorn’s Hotel as you’ll be right next to the Rüfikopf cable car. Their cuisine is truly one of the best you’ll find no matter where you go skiing in the Alps. 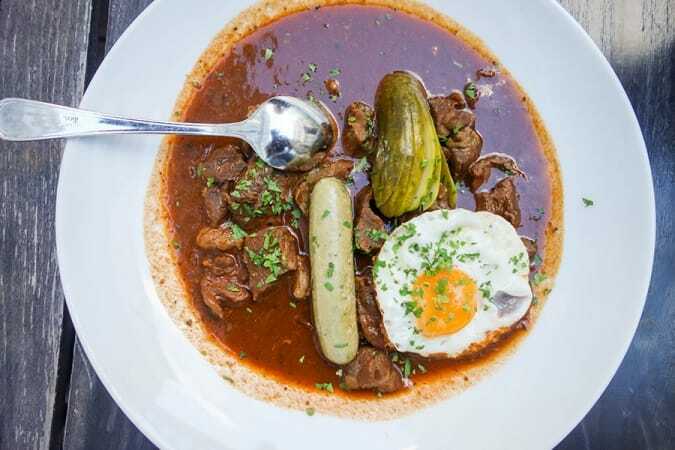 In addition to the restaurant serving local, Austrian, and international cuisine that will knock your socks off, Pfefferkorn’s Hotel is also home to a sushi bar, a pub, a shisha lounge, and a wine cellar. At Pepper’s Sushi Bar you’ll find sushi and maki specialties at their finest along with salads and soups. At their pub, s’Pfefferkörndl, you’ll indulge in Italian coffee, pasta, pizza, desserts, while enjoying fine champagne, cocktails, and live music. With so much more to offer, you’ll be happy that you choose Pfefferkorn’s Hotel to be your home away from home. 50 meters from the Lechweg hiking trail and just steps from the ski lifts you’ll find Hotel Garni Lavendel. This lovely bed and breakfast exceeds all the hype it gets. 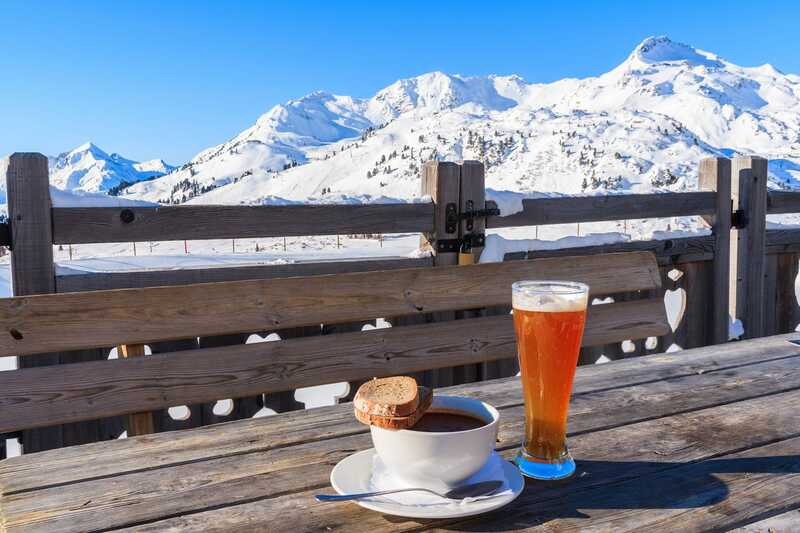 You’ll be just moments from some of the finest restaurants in the area and you can catch a bus just minutes away if you want to explore other parts of the Arlberg. Both apartments, and standard rooms are available and offer impeccable cleanliness. If you choose an apartment with a kitchen, you’ll be delighted to know that in addition to the nearby restaurants, you’ll be just a five-minute walk to the supermarket. There’s a toy room and playground for the smaller children, making this an excellent hotel for the whole family. For a true oasis in the heart of Lech, Hotel Garni Lavendel is where you need to be. Sunshine beams down on Söll as it sits between the Wilder Kaiser and Hohe Salve, and whether your priority is to ski, party, or save money, Söll is the answer. With 250+ kilometers of pistes, the largest night ski area in Austria, daily live bands, delicious food, and budget-friendly accommodations, it’s hard to argue against Söll being one of the best ski resorts in Austria. In addition to everything you can do on the slopes, they have a wealth of things to do off the slopes. They have the ultimate experience available for children at KiKo Söll where kids will love their indoor/outdoor animation program and adventure rooms. 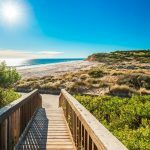 Countless events range from movie tours to degustation of Tyrolean cheese and bacon to dog sledding to concerts and much more. Weekly activities are also a fan favorite here where snowshoe walks and winter hikes draw people of all ages. When you leave the slopes, whether you want to go dancing, enjoy some fantastic fondue, or something else, Söll’s après-ski scene has you covered. If you’re wondering where to ski in Austria that won’t bust your budget, make your way to Söll. A stay at this fourth generation family-run business guarantees a feel-good vacation for the whole family. With a wide variety of accommodation choices, you can truly have it your way at Franzlhof as rooms, apartments, cottages, and chalets are all available. You can also camp in style or rent a cabin as they have a campsite behind the hotel. Right next to the hotel is their family farm housing cattle, dairy cows, heifers, and calves. From there, they source organic products like milk and meat, so you can be sure you’re receiving high-quality meals when you dine in the restaurant. If you’re looking for a little quiet after an action-packed day on the slopes, not only can you refresh in their silent room, but there is also an herbal sauna, a Finnish sauna, an aroma steam bath, and more for your convenience. This exceptional hotel will make your vacation faultless. Views abound at Hotel Alpenpanorama as you can relax in a quiet, wooded area gazing at the mountains of the Wilder Kaiser, the Hohe Salve and the Pölven. Only 2 kilometers from Skiwelt Wilder Kaiser Brixental, the ski bus will get you to the lift in less than seven minutes and you’ll be only an eight-minute walk from the village centre. Not only will you appreciate the hearty buffet breakfast and set menu for dinner, but they also have fun dinner theme nights as well. Some of them may include a rich cake buffet, a Tyrolean farmer’s buffet, and a gala dinner. In addition, they also have a café that’s majorly popular among tourists and locals alike. Chef Georg whips up some of the best homemade pies, cakes, and other desserts that are to die for. With all the great benefits they offer, it’s hard to say no to a stay at Hotel Alpenpanorama. Located right in the center of Söll and just 10 meters from a ski bus stop, you’ll be near, you’ll be near everything your heart desires when you choose Hotel Tenne Garni. Relaxation is a priority when you stay here, so not only will you enjoy standard views of the Hohe Salve mountain, but while you’re relaxing and enjoying your time in the sauna or steam bath, you will fall in love with the panoramic views from the spa. Christian and Helga run Bella Vita, the hotel’s a-la-carte restaurant, and they promise you’ll always receive fresh and exciting dishes. There is also a Tyrolean Bauernstandl at Hotel Tenne Garni where they specialize in the best rural-artisanal delicacies and you’re guaranteed only genuine products from Tyrolean mountain farming. The Gabriel-Gruber family is excited to welcome you and help you perfect your winter vacation. Affectionately named “the Hollywood of the Alps”, when you stay in Ellmau you can take a guided hike along the trail of the movie Der Bergdoktor. If that doesn’t excite you, not to worry, Ellmau has much more to offer. Here you’ll be directly connected to the SkiWelt Wilder Kaiser-Brixental, and numerous runs stretch into Ellmau’s center. With five toboggan runs encompassing 16 kilometers, the Astberg run is lit until midnight and runs down to Ellmau. Monday is one of the best nights of the week to be in this village as they hold their famous “Ski Nightshow”. Their après-ski fun comes alive at 20:30 where you will enjoy wine stands, music, a flag parade, and more. For the hiking fans, you’ll definitely want to meet at 19:45 on Mondays for a hike by torchlight before the excitement begins. Located at the base of the majestic Wilder Kaiser you’ll find Kaiserbad Ellmau. 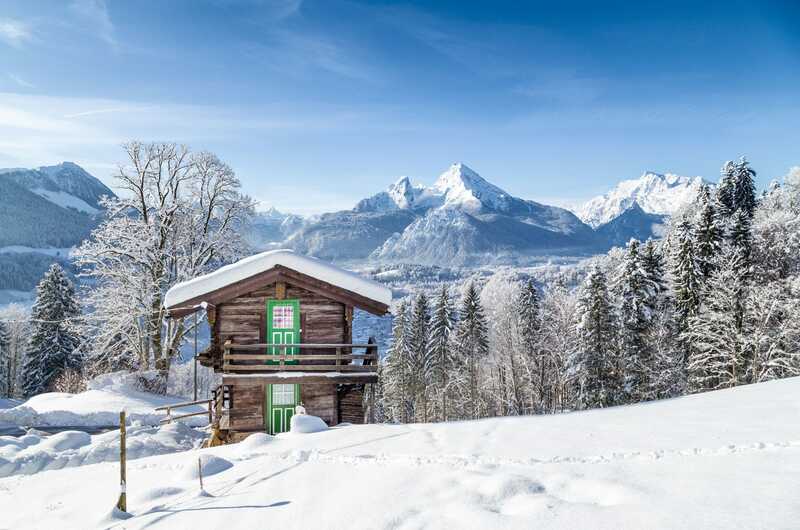 Great for adults and children, you’re sure to appreciate the infrared cabins, eucalyptus grotto, water beds, Finnish sauna and more while you take in the spectacular views of the Tuxeck and Treffauer peaks. Kids will enjoy the indoor pool and outdoor water area all year round as the outdoor water area even has a winter slide. 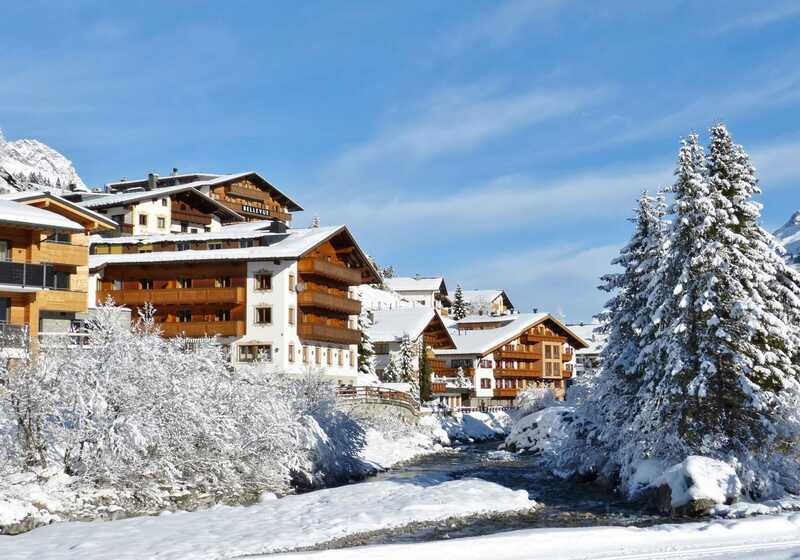 This quiet village is a top of the line choice for all of your skiing holidays in Austria. For the best culinary, service, and wellness experience right next to the ski lift, book a stay at Sporthotel Ellmau. You’ll also have cross-country ski paths and hiking trails available right across the street. You’ll be greeted with a delicious welcome drink as you get settled into your choice of a room, suite, studio, or apartment. Once settled, the sauna area will be waiting for you with juices and fruits as you bask in relaxation in their premium spa. Also available to you are programs where you can hike, do water gymnastics, as well as partake in other fun activities. After your four-course dinner head to the bar for your favorite cocktail where you can relax to the sounds of piano or live music. With their rustic restaurant The Ellmauer Alm highlighting the après-ski scene, you’ll love a stay at Sporthotel Ellmau as everything you could want is right within your reach. Doris and Klaus Manzl are overjoyed to welcome you to their charming bed and breakfast. The third generation Landhaus Kaiserblick is housed in a country-style building and offers you all the comforts of home. The rooms and apartments are beaming with natural light and the comfy bed and beautiful terrace are sure to help you rest easy. On top of the sauna and steam bath, they also have a game and TV room if you want to get out of your room for a little while. The thoughtful touches from this family are clearly noticeable, and you’ll absolutely love the personalized stay they offer. Family-run since 1832, AktivHotel Hochfilzer will check all the boxes for a perfect vacation in the Alps. Thoughtful surprises will pop up around every corner to make your stay more fun, and the staff is committed to providing superior hospitality. In the heart of Ellmau, the ski bus stops right next to this former farmhouse. Culinary theme nights allow you to experience the best dishes from around the world and add an element of excitement to your meal. Every Thursday at 18:30 you can indulge in an exclusive five-course tasting menu that will blow your mind. All lovers of wine should set aside time for a wine tasting with Christoph, you won’t regret it. The staff and service at AktivHotel Hochfilzer are sure to make your experience so grand that you won’t want to leave. Welcome to Austria’s highest ski village. With an altitude of 2,020 meters, Kühtai is home to 44 kilometers of pistes. Since 2014, Kühtai has been the filming site of the British reality show The Jump, so don’t be surprised if you see some familiar celebrity faces. A stay in Kühtai means no driving or long walks are necessary as the hotels sit next to the slopes. The snowpark, which caters to children, has rails and jumps to help improve their skills, while the funpark provides great times for freestylers and snowboarders. Anyone interested in ski touring is sure to love Kühtai for all the unique terrain it offers, and night skiing and tobogganing also remain big hits for the whole family. Cross-country skiers have 11 kilometers of trail to blaze and beautiful paths abound for snowshoeing and winter walking. You’ll also have countless restaurants, bars, and pubs to choose from throughout your stay. Don’t let Kühtai’s size fool you, this World Cup destination has more than enough for you to have the best vacation of your life. The Gerber family has truly created the perfect oasis for adults and children alike. The cinema room is a great place to bond with the kiddos as they show family-friendly movies. If you want to send the kids off for a while, Hotel Mooshaus has both a playroom for little ones and a lounge for the teens. While you indulge in your six-course dinner, the kids have their own menu and buffet with fresh and more simple options. In addition to their regular restaurant, you can also savor over a delicious meal at their The Gerber – Fine Asian Cuisine restaurant. One thing you won’t want to miss is their Endless Sky Pool. At 2,020 meters above sea level and almost 100 feet long, you deserve to spend some time in the highest infinity pool in the Alps. With endless amenities available to you, Hotel Mooshaus definitely highlights the list of the best hotels in Kühtai. With direct access to lifts and slopes as well as being only a four-minute walk from the village centre, Hotel Alpenrose specializes in providing warm and comfortable stays to all of its guests. This modern hotel is super bright and the staff is sure to always keep a smile on your face. From soups to salads to homemade pizzas and more, their extensive buffet is sure to satisfy even the pickiest of eaters. Fondue evenings are also a big hit at Hotel Alpenrose. 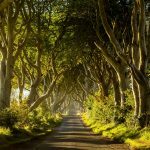 Looking to meet new people and share travel stories? The bar and lounge are great spaces to relax and grab an aperitif or digestif. With a spa that’s sure to melt your stresses away, Hotel Alpenrose will quickly become one of your favorite accommodations. If you’re debating on whether or not to stay at Hotel Astoria, the answer is a definite yes. At this ski-in/ski-out hotel, you’re sure to have an exceptional experience that is second to none. In addition to the 80 m2 indoor swimming pool, the wellness area also offers an infrared cabin, a solarium, a sauna, and a new Physiotherm infrared fitness and health cabin. Premium Austrian cuisine decorates the buffet as well as the set menu, and you can even indulge in a fondue evening. If you have a food allergy, not to worry, the staff here is committed to making sure you still have the best cuisine in the area as they have special dietary menus that include allergen-free and vegetarian options. For fantastic facilities at a reasonable price, Hotel Astoria is the place for you. Winter sports fans of all ages and skill levels will love what Nassfeld has to offer. This family-friendly destination boasts 110 kilometers of pistes, some of them even stretching into neighboring Italy. Nassfeld Snowpark has lines for pros as well as beginners and intermediates. Intermediate skiers will love Nassfeld’s Kicker Line, which can send you flying up to 14 meters through the air. For the beginners, the snowpark hosts complimentary ski and snowboard workshops every Sunday morning at 11:00. Night ski lovers will be over the moon to know that Nassfeld has one of the longest floodlit pistes in the Alps. One of their obviously highlights is The Snake. The Snake is a 700-meter track that acts as a playground for kids and adults alike. Throughout your adventure, you’ll find rollers, banked corners, jumps, a snail tunnel, and more! With all of the action on the slopes, you can expect an equal amount of fun off the slopes. Their endless list of outdoor activities includes everything from ice skating to llama trekking. Nassfeld also holds weekly winter programs that include snow biking, biathlon, snowshoe hiking, and more for anyone who’s not in the mood for the slopes. All of the entertainment coupled with its remarkable mountain panorama easily solidifies Nassfeld as one of the top ski resorts in Austria. This adults-only hotel sits just 50 meters from the nearest ski lift and ski school, giving you direct access to the ski slopes. The staff here is determined to make sure your experience is as perfect as their location. The breakfast buffet is standard, but to save money so you don’t have to pay for something you may not use, the a-la-carte dinner is optional. To thank you for your stay, the Carinthia Card also comes included with your booking. It will give you complimentary access to 100 attractions throughout Carinthia. Massages are a hit with every guest, and their wellness area offers you everything you’ll need to be relaxed and rejuvenated. Giving you the ultimate in relaxation and guaranteeing you won’t be disturbed by little ones making noise, Hotel Wulfenia is a prime choice for your visit to Nassfeld. The celebrity treatment is waiting for you at Hotel Nassfeld as you’ll receive nothing less than a personalized stay full of kindness and hospitality. With only 18 beautifully decorated and cozy rooms, you’ll be treated like a person and not just a number. When you arrive at the reception area you will notice the lovely lounge that serves as the perfect place to curl up with some coffee in front of the fireplace. For some couples time, you can book the private spa with a rainforest shower and loungers, and you can also choose from the bio-herbal sauna or Finnish sauna. There is even a library available for the bookworms. Only 100 meters from the slopes and the nearest chairlift, once you’re introduced to Hotel Nassfeld, you will be hooked. Your dream vacation starts at Falkensteiner Hotel & Spa Carinzia. Home to everything from a children’s ski school to two restaurants and much more, this resort boasts endless possibilities. You’ll experience nothing less than culinary perfection at your buffet breakfast, afternoon snack, and dinner, where you can choose between the buffet and a five-course gourmet meal. Their Panorama Restaurant allows you to marvel over panoramic views of nature while Restaurant Lux offers a romantic atmosphere and exclusive dining. You’ll think you’re in a dream the moment you enter their 2,400 m² spa. They even offer a ladies only time in the panoramic sauna. You haven’t had the perfect vacation until you’ve stayed at Falkensteiner Hotel & Spa Carinzia. Proven to live up to all the hype, our recommendations for the best ski resorts in Austria will ensure you a first-class experience throughout your winter vacation. So whether you want to hit the slopes all day and party all night or just take it easy and relax in the spa, you can be sure you’ll experience everything you wanted and more.